Walking into a Sephora store can be like walking into a candy store, as rows upon rows of colorful eye shadows, lipsticks and nail polishes makes it hard to walk out of the store empty-handed. Since 1970, Sephora has been a staple store for those who love cosmetics. Sephora carries over 190 brands of beauty products, but College Gloss has identified a few beauty bargains that shouldn’t be missed. This best-selling primer works to perfect your skin’s look, which helps to extend the wear of foundation or eye shadow. It evens out the complexion, while hiding imperfections, and is dermatologist tested. For oily skin, it can be hard to find an exfoliating scrub that doesn’t irritate skin while still unclogging pores and helping to attain a clearer complexion. Clinique’s scrub is gentle and refreshing. It is sure to invigorate oily skin and make it smooth. As far as kabuki brushes go, it doesn’t get much cuter than this pink metallic brush from Too Faced cosmetics. The brush is great for on-the-go makeup application, and the synthetic bristles keep this brush clean. For anyone looking for a great moisturizer that also helps treat and prevent acne, look no further. This lightweight formula calms redness, reduces oil and soothes skin, all while gently treating breakouts. One of the most unique finds on Sephora is this typography nail polish set. This long-lasting nail polish set comes in two colors, and the results of the typography nail design are fabulous. 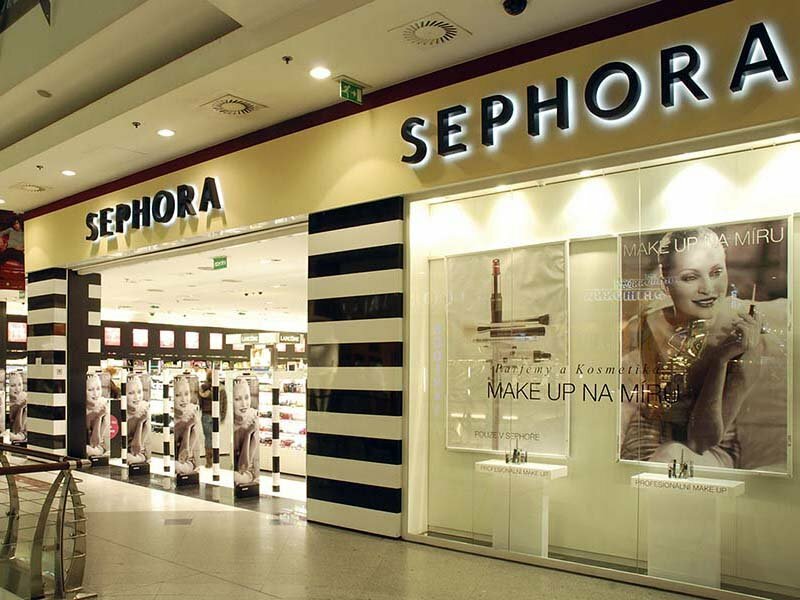 For years, Sephora has been a beauty mecca for makeup professionals and amateurs alike; it is a store of amazing cosmetic finds for all. Whether it is makeup, brushes or nail polish, Sephora has some great must-haves at under $20. It is a very lovely collection. I really love Sephora.